Ald. 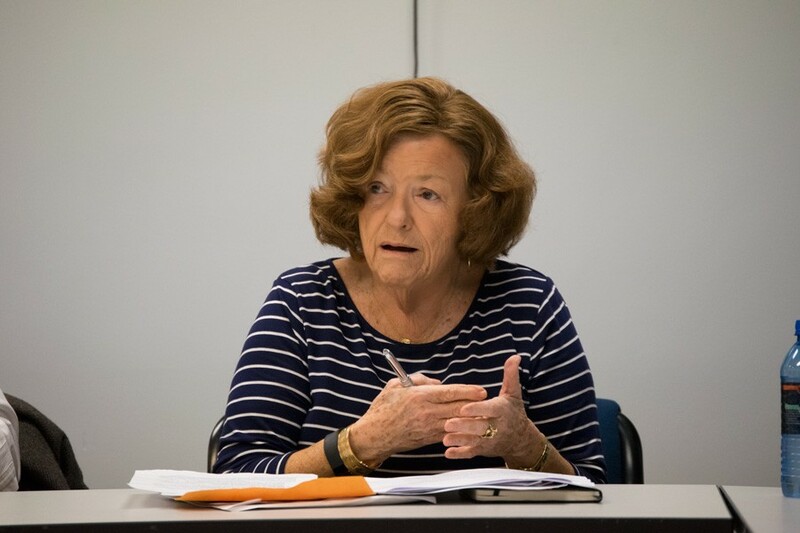 Ann Rainey (8th) addresses the nuisance properties ordinance at Wednesday’s subcommittee meeting. The ordinance, which was introduced earlier this year, aims to increase scrutiny on nuisance properties but ambiguities with it are being reviewed by the subcommittee. An Evanston subcommittee discussed how to revise an ordinance aimed at improving conditions at nuisance properties Wednesday night, focusing on how to increase cooperation with landlords and avoid targeting responsible property owners. City Council formed the subcommittee mid march to redraft the Neighborhood Integrity Ordinance, which was introduced earlier this year to better conditions at nuisance properties, which are those with a higher number of police activity or code violations. Under the originally proposed ordinance, landlords of these properties would be required to correct any problems identified by city officials and deal with problematic tenants. Discussion about revising the current ordinance — which has been in place since 2007 — came to the forefront after reports of shots fired and the discovery of a woman’s body at properties close to Evanston Township High School in November. Rainey was joined on the subcommittee by Ald. Brian Miller (9th) and Ald. Donald Wilson (4th) as well as other city officials and Evanston landlords. The subcommittee will redraft the ordinance over the next few weeks in hopes of reintroducing a refined ordinance later this year. Michelle Masoncup, the deputy city attorney, said in the last five years, she can only recall one successful enforcement of the current ordinance. Masoncup said part of the reason the ordinance is ineffective is because it requires that a person be convicted twice within six months for criminal activity, a limiting timeline considering some cases are not resolved in court for years. During Wednesday’s discussion, subcommittee members said it is important for landlords to work with city officials on how to deal with problem tenants. The three landlords in attendance also emphasized the importance of a “crime-free addendum” in lease agreements, which prohibits crime on the property. Eric Paset, who owns and manages properties in the city, said during the meeting he includes this provision in his leases, and if a tenant commits a crime in the building, they are in violation of their lease. “It gives us grounds that if they do commit any crimes, they can be evicted,” he told The Daily. The necessity of drafting an ordinance that would only target uncooperative landlords was a primary concern for many on the subcommittee. The planned ordinance received backlash primarily by landlords who felt it would make them responsible for tenants over whom they had little control. A previous version of this story misstated when the Neighborhood Integrity Ordinance subcommittee was formed. The subcommittee was formed in in mid-March. The Daily regrets the error.